What is AG Real Estate? All content included on this site, such as text, graphics, logos, button icons, images, audio clips, digital downloads, data compilations, and software, is the property of AG Real Estate or its content suppliers and protected by United States and international copyright laws. The compilation of all content on this site is the exclusive property of AG Real Estate and protected by U.S. and international copyright laws. All software used on this site is the property of AG Real Estate or its software suppliers and protected by United States and international copyright laws. The Intellectual Property is provided solely for your personal, non-commercial use. You agree to abide by all additional copyright notices, information, or restrictions contained in any material or content on the Site. You may not copy, reproduce, republish, upload, post, transmit, distribute, and/or exploit any Intellectual Property in any way (including by e-mail or other electronic means) from this Website without our express prior written consent. Modification of any Intellectual Property or use of any Intellectual Property for any other purpose is a violation of the copyrights, trademark rights, and other proprietary rights. The use of any Intellectual Property on any other site or networked computer environment, or maintaining unauthorized links to the Site, is prohibited by these Terms. WE, OUR OFFICERS, DIRECTORS, EMPLOYEES AND/OR OUR SUPPLIERS, PARTICIPATING LENDERS, AND REAL ESTATE PROFESSIONALS PROVIDE OUR WEB SITE AND SERVICES “AS IS” AND WITHOUT ANY WARRANTY OR CONDITION, EXPRESS, IMPLIED OR STATUTORY. WE, OUR OFFICERS, DIRECTORS, EMPLOYEES AND/OR OUR SUPPLIERS, PARTICIPATING LENDERS, AND REAL ESTATE PROFESSIONALS SPECIFICALLY DISCLAIM ALL WARRANTIES, EXPRESS OR IMPLIED, INCLUDING, BUT NOT LIMITED TO: (1) ANY IMPLIED WARRANTIES OF TITLE, MERCHANTABILITY, FITNESS FOR A PARTICULAR PURPOSE AND NON-INFRINGEMENT; (2) ANY WARRANTIES THAT THE FUNCTIONS CONTAINED IN THE SERVICES AND MATERIALS WILL BE UNINTERRUPTED OR ERROR-FREE, THAT DEFECTS WILL BE CORRECTED, OR THAT THE SITE OR THE SERVER THAT MAKES IT AVAILABLE ARE FREE OF VIRUSES OR OTHER HARMFUL COMPONENTS; (3) ANY WARRANTIES REGARDING THE USE, OR RESULTS OF THE USE, OF THE SERVICES AND MATERIALS PROVIDED BY THE SITE IN TERMS OF THEIR CORRECTNESS, ACCURACY, RELIABILITY, TIMELINESS, OR OTHERWISE BY THE USE OF THIS WEBSITE WHETHER RESULTING IN WHOLE OR IN PART, FROM BREACH OF CONTRACT, TORTIOUS BEHAVIOR, NEGLIGENCE, STRICT LIABILITY OR OTHERWISE, EVEN IF AG REAL ESTATE AND/OR ITS SUPPLIERS, PARTICIPATING LENDERS, AND REAL ESTATE PROFESSIONALS HAD BEEN ADVISED OF THE POSSIBILITY OF DAMAGES. YOU ALONE ASSUME ANY AND ALL COSTS ARISING IN CONNECTION WITH YOUR USE OF THE SITE. APPLICABLE LAW MAY NOT ALLOW THE EXCLUSION OF IMPLIED WARRANTIES, SO THE ABOVE EXCLUSION MAY NOT APPLY TO YOU. Some states do not allow the disclaimer of implied warranties, so the foregoing disclaimer may not apply to you. This warranty gives you specific legal rights and you may also have other legal rights that vary from state to state. IN NO EVENT SHALL AG REAL ESTATE, INCLUDING ITS RESPECTIVE OFFICERS, DIRECTORS, EMPLOYEES, AND/OR OUR SUPPLIERS, PARTICIPATING LENDERS, AND REAL ESTATE PROFESSIONALS, BE LIABLE FOR ANY INJURY, DEATH, LOSS, CLAIM, DAMAGE, ACT OF GOD, ACCIDENT, DELAY, OR ANY SPECIAL, EXEMPLARY, PUNITIVE, INCIDENTAL OR CONSEQUENTIAL DAMAGES OF ANY KIND, WHETHER BASED IN CONTRACT, TORT OR OTHERWISE, WHICH ARISE OUT OF OR ARE IN ANY WAY CONNECTED WITH ANY USE OF THIS SITE OR WITH ANY DELAY OR INABILITY TO USE THIS SITE, OR FOR ANY INFORMATION, SOFTWARE, PRODUCTS OR SERVICES OBTAINED THROUGH THIS SITE, EVEN IF A PARTY HAS BEEN ADVISED OF THE POSSIBILITY OF SUCH DAMAGES. 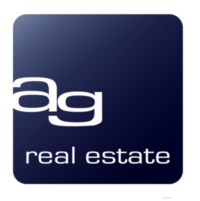 – Only experienced real estate professionals can be part of AG Real Estate’s network. You must have three (3) or more years experience in your local market area to assist sellers and buyers. – You recognize that fraudulent usage of any service provided by our real estate services may subject you to liability. – You promise that all information you provide will be accurate, current and truthful to the best of your knowledge including valid contact information. – You expressly consent to being contacted by us and by our lenders and/or real estate professionals via the contact information provided by you in order that we may provide the services set forth on our site, and you hereby consent to any such calls even if your phone number is on any Do Not Call list. – You are of legal age and are otherwise capable of forming a legally binding contract. – You acknowledge that we makes no such representations, endorsements, recommendations and/or warranties of the products of any particular lender or real estate professional that may use our service as we may have no direct affiliations to any other lending or real estate firms or agencies, and you agree that we shall not be liable for any damages or costs of any type arising out of or in any way connected with your use of such services. – You acknowledge that nothing on this web site contains a binding offer, promise or otherwise, either to make a specific loan or that any participating lender or real estate professional will make any loan for any purpose or on any specific terms. Likewise, we do not guarantee that the loan terms or rates offered and made available by participating Lenders through this Web site are the best terms or lowest rates available in the market. Unless expressly stated in writing, nothing contained herein shall constitute an offer or promise for a loan commitment or interest rate lock-in agreement. – You are no obligated to accept on loan offer that is presented to you from our lenders or view any profiles of real estate professionals. Our service is absolutely free, no obligation to you. – You acknowledge that posted users’ ratings and reviews might not reflect the actual quality of service that you may receive from participating lenders and real estate professionals. mojoagent.com disclaims any liability arising from and the accuracy of any users’ ratings and reviews. – You acknowledge that AG Real Estate does not review or verify the information, offers, profile, or promotions that are self-reported by our participating lenders and real estate professionals and mojoagent.com does not make representations or warrants that our participating lenders and real estate professionals are appropriately licensed, bankruptcy free, or carry any adequate and appropriate insurance at the time initial, presently, or thereafter the registration. You should independently use of all appropriate government, public, consumer and other agencies or sources to verify all matters. This Web site may contain links to Web sites maintained by third parties. Please be aware that these links are provided for your convenience and reference only. We do not operate or control in any respect any information, software, product or services available on such Web sites. AG Real Estate’s inclusion of a link to a Web site does not in any way imply an endorsement of the services or the site, its contents, or its sponsoring organization. You agree to indemnify and hold us and (as applicable) our officers, directors, agents, and employees and/or our suppliers, participating lenders, and real estate professionals, harmless from any claim or demand, including reasonable attorneys’ fees, made by any third party due to or arising out of your breach of this Agreement or the documents it incorporates by reference, or your violation of any law or the rights of a third party. Any claim or controversy arising out of or relating to the use of AG Real Estate’s services, to the goods or services provided by AG Real Estate, or to any acts or omissions for which you may contend AG Real Estate is liable, including but not limited to any claim or controversy as to arbitrability (”Dispute”), shall be finally, and exclusively, settled by arbitration venue in Contra Costa county, California. The arbitration shall be held before one arbitrator under the commercial arbitration rules of the American Arbitration Association (”AAA”) in force at that time. The arbitrator shall be selected pursuant to the AAA rules. Should no AAA rule regarding the selection of an arbitrator be in effect, the consumer shall select an arbitrator from a panel of arbitrators acceptable to mojoagent.com. In any arbitration, we will pay the filing fee, plus the costs associated with the first day of arbitration, with the remaining costs of arbitration paid by the non-prevailing party. To begin the arbitration process, a party must make a written demand there for. Any judgment upon the award rendered by the arbitrators may be entered in any court of competent jurisdiction in Contra Costa county, California. The arbitrators shall not have the power to award damages in connection with any Dispute in excess of actual compensatory damages and shall not multiply actual damages or award consequential, punitive or exemplary damages, and each party irrevocably waives any claim thereto. The agreement to arbitrate shall not be construed as an agreement to the joinder or consolidation of an arbitration under this agreement with an arbitration of disputes or claims of any non-party, regardless of the nature of the issues or disputes involved. This agreement is governed by the laws of the State of California, USA. You hereby consent to the exclusive jurisdiction and venue of courts in Contra Costa County, California, USA in all disputes arising out of or relating to the use of this Website. Use of this Website is unauthorized in any jurisdiction that does not give effect to all provisions of these terms and conditions, including without limitation this paragraph. You agree that no joint venture, partnership, employment, or agency relationship exists between you and AG Real Estate as a result of this agreement or use of this Website.Our performance of this agreement is subject to existing laws and legal process, and nothing contained in this agreement is in derogation of our right to comply with law enforcement requests or requirements relating to your use of this Website or information provided to or gathered by us with respect to such use. If any part of this agreement is determined to be invalid or unenforceable pursuant to applicable law including, but not limited to, the warranty disclaimers and liability limitations set forth above, then the invalid or unenforceable provision will be deemed superseded by a valid, enforceable provision that most closely matches the intent of the original provision and the remainder of this agreement shall continue in effect. This agreement constitutes the entire agreement between the user and AG Real Estate with respect to this Website and it supersedes all prior or contemporaneous communications and proposals, whether electronic, oral or written, between the user and AG Real Estate with respect to this Web site. A printed version of this agreement and of any notice given in electronic form shall be admissible in judicial or administrative proceedings based upon or relating to this agreement to the same extent and subject to the same conditions as other business documents and records originally generated and maintained in printed form.